This article is not intended to be a comprehensive discussion of either the differentiation or treatment of headache. Such material is well covered in previous issues of this Journal1 and in many acupuncture textbooks. Rather it is intended as a discussion of some of the more important acupuncture points traditionally used to treat headache, and the rationale for their selection and range of action. Many are points that would be commonly selected by acupuncturists today. One or two have clearly been considered more important in past times, as evidenced by material found in classical sources, but are less used in modern clinical practice. By contrast, some distal points in common use today for the treatment of headache were barely indicated for such use previously, Xingjian LIV-2 and Taichong LIV-3 being typical examples. In considering the treatment of headache in classical texts, it is important to be familiar with the commonly-used term 'head wind'. This traditional term has two principal meanings. Firstly it is used to refer to severe, long-standing and repetitive headaches (for example migraine), in contrast to a single incident of headache. Secondly, it describes a condition deriving from attack by exterior wind, whether combined with cold, heat or dampness, which invades the channels of the head and gives rise to headache, dizziness and deviation of the mouth and eye. The indications listed below are almost entirely derived from classical sources. Only those indications relating to headache have been included in this article, and of course all the points have many additional unrelated indications. LOCAL POINTS TOUWEI ST-8 Head's Binding Indications • Headache, splitting headache with chills and fever, dizziness, bursting eye pain. Discussion Touwei ST-8 is an important local point in the treatment of headaches. Located at the corner of the forehead, it is a meeting point of the Stomach channel with the Gall Bladder channel and the Yang Linking (Yangwei) vessel. This meet- Touwei ST-8 ing of three channels which have such influence on the head is reflected in the name of this point 'Head's Binding'. The Stomach channel belongs to yangming which rules the forehead, the Gall Bladder channel belongs to shaoyang which rules the temporal region, whilst the Yang Linking vessel links all the yang channels of the body including the Governing and Bladder channels which rule the vertex. Whilst the forte of Touwei ST-8 is the treatment of frontal headaches, for which purpose the needle is directed medially and anteriorly, with different needle direction it may also be used for temporal and vertex headaches. Touwei ST-8 is particularly indicated for headaches and eye disorders due to wind, whether exterior pathogenic wind invading the channels of the head, or internally generated wind. As far as exterior headaches are concerned, although it is suitable for both wind-cold and wind-heat, many classics stress its use in the treatment of splitting headaches with bursting eye pain, symptoms more usually associated with wind-heat. Heat is a yang pathogen and its nature is to flare upwards and expand, obstructing the collaterals and leading to distending and splitting sensation of the head. In the treatment of headache accompanied by pain or twitching of the eyes, Touwei ST-8 is frequently combined in classical prescriptions with Zanzhu BL-2. Touwei ST-8 is also indicated for severe headache accompanied by vomiting, and is especially suitable for migraine headache with nausea or vomiting and dimness of vision or bursting pain of the eyes. The ability of Touwei ST-8 to clear internally generated wind from the head is reflected not only in its use for this kind of headache, but also for dizziness, eye disorders, hemiplegia and twitching of the eyelids. Classical combinations ¥	Headache with eye pain: Touwei ST-8 and Zanzhu BL-2 (Ode of the Jade Dragon). ¥	Head wind with splitting pain, bursting pain of the eyes and lacrimation: Touwei ST-8 and Zanzhu BL-2 (Golden Mirror). ¥	Splitting headache with bursting eye pain: Touwei ST-8 and Daling P-7 (Thousand Ducat Formulas). ¥	One-sided or generalised head wind: Touwei ST-8, Baihui DU-20, Qianding DU-21, Shangxing DU-23, Shenting DU-24, Sizhukong SJ-23, Fengchi GB-20, Hegu L.I.-4 and Zanzhu BL-2 (Great Compendium). HANYAN GB-4 Jaw Serenity Indications • One-sided headache, head wind (with pain at bilateral Taiyang M-HN-9), headache with heat in the body. Discussion Yan Zheng-shi of the Ming dynasty, in Investigation of Points Along the Channels, recommended Hanyan GB-4 specifically one fingerbreadth for head wind with pain of both Taiyang (M-HN-9) points. Clinically, Hanyan GB-4 is one of the local points of the temporal region which should always be palpated in cases of one-sided headache, and needled if tender. In fact all the Gall Bladder channel points between Hanyan GB-4 and Fengchi GB-20 are indicated for headache or head wind and any may be needled if they correspond to points of localised tenderness. Classical combinations ¥	One-sided headache: Hanyan GB-4 and Xuanlu GB-5 (One Hundred Symptoms). ¥	Wind dizziness and one-sided headache: Hanyan GB-4, Qianding DU-21 and Houding DU-19 (Thousand Ducat Formulas). SHUAIGU GB-8 Leading Valley Indications • One-sided headache, heaviness of the head, head wind, pain at the corner of the forehead (in the area of Touwei ST-8), incessant vomiting, injury by alcohol with vomiting. Shuaigu GB-8 Discussion Shuaigu GB-8 is an important point for treating parietal or temporal headache and heaviness, especially when unilateral, and is frequently found to be tender (on palpation) in such cases. The Gall Bladder primary and sinew channels traverse the side of the head, and the Gall Bladder channel is interiorly-exteriorly related to the Liver channel. Shuaigu GB-8 is particularly indicated in cases where exterior wind attacks the head, or Liver fire, Liver yang or Liver wind ascend along the Gall Bladder channel to harass the head causing severe one-sided headache. According to the Illustrated Classic of Acupuncture Points on the Bronze Man Shuaigu GB-8 is especially indicated for "cold and phlegm in the diaphragm and Stomach, injury by alcohol, wind giving rise to severe and stubborn pain at both corners of the brain, inability to eat and drink, agitation and fullness with ceaseless vomiting". This is a clear reference to migrainous headache. Since Shuaigu GB-8 harmonises the diaphragm and Stomach, it is the main point on the head to treat headache accompanied by vomiting due to attack on the Stomach by Liver qi, or to Gall Bladder and Stomach phlegm-heat. Alcohol may induce migraine headache and vomiting by aggravating Liver heat and disrupting the harmony between the Liver and the Stomach, or by inducing or aggravating damp-heat in the Gall Bladder and Stomach. Many classics therefore recommend this point for headache and vomiting induced by alcohol. Classical combinations • One-sided or generalised wind headache that is difficult to cure: join Sizhukong SJ-23 subcutaneously with Shuaigu GB-8 (Song of the Jade Dragon). YANGBAI GB-14 Yang White Indications • Pain of the forehead, pain of the supraorbital ridge, head wind, wind-cold headache. Discussion The forehead is most closely associated with the yangming (Large Intestine and Stomach) channel. In clinical practice pain of the forehead region may be due to involvement either of yangming channel (in which case it is often accompanied by pain of the infraorbital region, often seen in sinusitis), or of shaoyang channel (in which case it is frequently accompanied by pain of the temporal or parietal regions and eye, often seen in migrainous headaches). Yangbai GB-14 is a meeting point of the Gall Bladder shaoyang channel with the Stomach and Large Intestine yangming channels, and is therefore the pre-eminent local point in the treatment of pain of the forehead, whether due to interior disharmony or invasion of exterior pathogenic factors. Classical combinations • Head wind with splitting sensation, pain between the eyebrow and the eye: Yangbai GB-14, Jiexi ST-41 and Hegu L.I.-4 (Classic of the Jade Dragon). FENGCHI GB-20 Wind Pool Indications • Headache, head wind, one-sided and generalised headache. Discussion Fengchi GB-20, located at the nape of the neck, occupies a pivotal position between the head and the body and is one of the pre-eminent acupuncture point to treat all diseases of the head, brain and sensory organs. According to a saying of Chinese medicine, "The head is the residence of the yang". As a coalescent point of the Yang Linking (Yangwei) vessel which links all the yang channels and connects with the Governing vessel (which enters the brain) at Yamen DU-15 and Fengfu DU-16, Fengchi GB-20 is the single most important acupuncture point in the treatment of headache, whatever the aetiology and whichever the involved channels. As its name 'Wind Pool' implies, Fengchi GB-20 is especially important in the treatment of both exterior and interior wind disease which affects the head. When exterior pathogenic wind, wind-cold or wind-heat injure the body, the characteristic sign is chills and fever. Fengchi GB-20 is a meeting point of the Gall Bladder channel with both the Yang Motility (Yangqiao) vessel and the Yang Linking vessel. The Yang Motility vessel is indicated for aversion to wind, whilst the Yang Linking vessel links all the yang channels of the body, including the Governing vessel. Yang corresponds to the exterior while yin corresponds to the interior, and the yang channels as a whole, therefore, relate more to the exterior portion of the body. Fengchi GB-20 is therefore an important point to expel wind from the exterior and is especially indicated when injury by wind is accompanied by headache or other symptoms of the head region. Fengchi GB-20 is equally important to pacify pathologically ascending interior wind and to settle yang and clear fire from the head, and is an essential point in the treatment of such interior disorders as headache, head wind, dizziness and hypertension. Fengchi GB-20 is located below the occiput, approximately midway between Fengfu DU-16 and Wangu GB-12, in the hollow between the origins of the sternomastoid and trapezius muscles. In practice the region is palpated to find the area of greatest tenderness and the needle inserted very close to the base of the skull. The needle direction may be towards the contralateral eye (especially in cases of eye pain or visual disorders), towards Yintang M-HN-3 (especially in cases of frontal headache or mental agitation), towards the tip of the nose (especially in cases of nasal obstruction or sinus pain), or towards opposite Fengchi GB-20 (especially in cases of occipital headache or stiffness of the neck). Classical combinations • Headache: Fengchi GB-20, Muchuang GB-16 and Tianchong GB-9 (Systematic Classic). ¥	One-sided or generalised headache: Fengchi GB-20, Hegu L.I.-4 and Sizhukong SJ-23 (Great Compendium). ¥	One-sided or generalised head wind: Fengchi GB-20, Baihui DU-20, Qianding DU-21, Shenting DU-24, Shangxing DU-23, Sizhukong SJ-23, Hegu L.I.-4, Zanzhu BL-2 and Touwei ST-8 (Great Compendium). ¥	Head wind and dizziness: Fengchi GB-20, Hegu L.I.-4, Fenglong ST-40 and Jiexi ST-41 (Great Compendium). ZANZHU BL-2 Gathered Bamboo Indications • Pain of the eyebrow region, frontal headache, head wind. Discussion Zanzhu BL-2 is frequently used in current practice for the treatment of local disorders such as frontal headache, pain of the eyebrow region, sinus pain and facial paralysis. Its classical application is wider, however, and it commonly appears in combinations for one-sided or generalised head wind, and headache following alcohol intoxication. Combinations ¥	Wind headache: Zanzhu BL-2, Chengguang BL-6, Shenshu BL-23, Qimai SJ-18, Sizhukong SJ-23 and Erheliao SJ-22 (Thousand Ducat Formulas). ¥	Headache with eye pain: Zanzhu BL-2 and Touwei ST-8 (Ode of the Jade Dragon). ¥	One-sided or generalised head wind: Zanzhu BL-2, Baihui DU-20, Qianding DU-21, Shenting DU-24, Shangxing DU-23, Sizhukong SJ-23, Fengchi GB-20, Hegu L.I.-4 and Touwei ST-8 (Great Compendium). ¥	Head wind following intoxication: Zanzhu BL-2, Yintang (M-HN-3) and Zusanli ST-36 (Great Compendium). MEICHONG BL-3 TO TONGTIAN BL-7 Meichong Meichong BL-3 (Eyebrows' Pouring), Quchai BL-4 (Crooked Curve), Wuchu BL-5 (Fifth Place), Chengguang BL-6 (Receiving Light) and Tongtian BL-7 (Heavenly Connection) are all indicated for headache and are generally palpated for tenderness in the case of any vertex headache. Tongtian BL-7 is the most commonly used of these points, and is especially indicated when headache is accompanied by heaviness of the head, swelling of the face and nasal discharge, blockage or pain. Classical Combinations ¥	Headache with nasal congestion: Meichong BL-3, Shangxing DU-23, Yingxiang L.I.-20 and Hegu L.I.-4. ¥	Wind headache: Chengguang BL-6, Zanzhu BL-2, Shenshu BL-23, Qimai SJ-18, Sizhukong SJ-23 and Erheliao SJ-22 (Thousand Ducat Formulas). ¥	Heaviness of the head: Tongtian BL-7, Yamen DU-15, and Fuyang BL-59 (Supplementing Life). 1 cun 4 cun • Pain and heaviness of the head: Tongtian BL-7, Naokong GB-19 and Naohu DU-17 (Thousand Ducat Formulas). Tongtian BL-7 Baihui DU-20 cun 1.5 Chengguang BL-6 1.5 cun YUZHEN BL-9 Jade Pillow Indications • Occipital headache, pain from head wind that is difficult to endure, pain of the neck with inability to turn the head, pain of the head and neck with aversion to wind and absence of sweating, heaviness of the head and neck, cold sensation in half of the head, cold head with copious sweating, red face, bursting eye pain. Discussion The name Yuzhen (Jade Pillow) refers both to the point BL-3Yuzhen BL-9 and to the general region around the occipital protuberance. In this latter context, Yuzhen is one of what is known as the three gates (sanguan) through which it may be difficult to circulate the qi in the qigong 'small heavenly circuit' practice; that is the practice of circulating the qi through the Governing and Conception vessels in one continuous circuit using the mind and the breath. The three gates are Yuzhenguan, Jiajiguan (in the region of Mingmen DU-4) and Weiluguan (in the region of Changqiang DU-1). Yuzhen BL-9 itself is indicated for the treatment of occipital headache which may extend downwards to the neck and for coldness and sensitivity to wind in the head and neck region, as well as for disorders of the nose and eyes. Classical combinations ¥	Pain of the nape of the neck: Yuzhen BL-9 and Wangu GB-12 (Supplementing Life). ¥	Head wind: Yuzhen BL-9 and Xinhui DU-22 (One Hundred Symptoms). Yuzhen BL-9 TIANZHU BL-10 Celestial Pillar Indications • Pain and heaviness of the head, headache, head wind, stiffness of the neck with inability to turn the head, inability of the legs to support the body. Discussion Chapter 24 of the Spiritual Pivot says "inversion headache with neck pain followed by lumbar pain select Tianzhu BL-10", whilst in Chapters 2 and 21 of the Spiritual Pivot , Tianzhu BL-10 is listed as one of a group of points that have come to be known as points of the 'Window of Heaven'2. In common with the other Window of Heaven points (especially Renying ST-9, Tianchuang SI-16, Tianchi P-1, Tianyou SJ-16 and Fengfu DU-16), Tianzhu BL-10 is indicated when inversion qi (chaotic and rebellious qi) ascends to the head. This may give rise to symptoms such as dizziness, headache, heaviness of the head and stiff neck, whilst at the same time in the lower part the legs are unable to support the body due to unbalanced distribution of qi. There is some similarity between the indications of Tianzhu BL-10 and those of Fengchi GB-20, both points being located close to each other. Fengchi GB-20 however is much used clinically both to expel exterior pathogenic wind and to pacify interior wind, whilst the clinical use of Tianzhu BL-10 is primarily confined to pacifying interior wind. Tianzhu BL-10 Fengfu DU-16 Yamen DU-15 1.3 cun Fengchi GB-20 Classical combinations ¥	Headache: Tianzhu BL-10, Taodao DU-13, Dazhu BL-11, Kongzui LU-6 and Houxi SI-3 (Thousand Ducat Formulas). ¥	Head wind: Tianzhu BL-10, Naokong GB-19 and Baihui DU-20 (Supplementing Life). SIZHUKONG SJ-23 Silken Bamboo Hollow Indications • Headache, one-sided headache, head wind. Discussion Although relatively rarely used in modern clinical practice, Sizhukong SJ-23 has historically been considered an important local point for the treatment of headache as well as for disorders of the eye, eyelid and eyebrow. According to the Investigation Into Points Along the Channels, Sizhukong SJ-23 is indicated for "all disorders of the head, face, eyebrows and eyes whether swelling, redness, itching or numbness". It is also able to pacify interior wind and soothe convulsions, and is indicated for such disorders as dizziness, epilepsy, mania and foaming at the mouth. Classical combinations • One-sided or generalised wind headache that is difficult to cure: join Sizhukong SJ-23 subcutaneously with Shuaigu GB-8 (Song of the Jade Dragon). ¥	One-sided or generalised headache: Sizhukong SJ-23, Fengchi GB-20 and Hegu L.I.-4 (Great Compendium). ¥	Wind headache: Sizhukong SJ-23, Erheliao SJ-22, Qimai SJ-18, Zanzhu BL-2, Chengguang BL-6 and Shenshu BL-23, (Thousand Ducat Formulas). FENGFU DU-16 Palace of Wind Indications • All types of wind disease, injury by wind, headache, head wind, the hundred diseases of the head. Discussion In the Essential Questions3 the Yellow Emperor says "I have heard that wind is the beginning of the hundred diseases; what is the method of treating it by acupuncture"? His minister Qi Bo replies "Wind enters from the exterior giving rise to shivering, sweating, headache, heaviness of the body and aversion to cold. Treat it by needling Fengfu DU-16". Wind, which may be of exterior or interior origin, is a yang pathogenic factor that therefore tends to affect the outer and upper (yang) portions of the body. Exterior wind predominantly injures the head and the superficial portion of the body, whilst interior wind stirs upwards and harasses the top of the body. In both cases, headache may be a predominant symptom. The Governing vessel is known as the 'sea of the yang channels', and whilst many of its points are effective to eliminate both exterior and interior wind, Fengfu DU-16 (Palace of Wind) is pre-eminent for this purpose. Its importance in the treatment of both kinds of wind disorder is emphasised in Investigation into Points Along the Channels by the Ming dynasty author Yan Zhenshi, who said that Fengfu DU-16 is indicated for "all types of wind disease". Due to the location of Fengfu DU-16 in the neck region, the pivot of the head, as well as to its ability to eliminate wind and nourish the sea of marrow, Fengfu DU-16 is an important point in the treatment of headache, head wind and neck disorders. Although primarily indicated for occipital (taiyang region) headache, as would be expected from its location, Fengfu DU-16 is a meeting point of the Governing vessel with the Yang Linking (Yangwei) vessel. Both these extraordinary vessels link all the yang channels, whilst the Yang Linking vessel specifically connects with such important points for headache as Benshen GB-13 through to Fengchi GB-20 on the lateral side of the head, and Touwei ST-8 on the forehead. Fengfu DU-16 may therefore also be needled in shaoyang (temporal) or yangming (frontal) region headaches when the primary pathogen is wind. QIANGJIAN DU-18 Unyielding Space Indications • Headache, dizziness with agitation, stiffness of the neck with inability to turn the head. Discussion As is often the case, a point such as Qiangjian DU-18 which is considered of minimal importance in modern clinical practice, was clearly ascribed greater significance in classical texts, witnessed by its appearance in numerous traditional combinations. It shares with many points of the head region, particularly its neighbouring points of the Governing vessel (Naohu DU-17 and Houding DU-19) the ability to pacify interior wind and calm the spirit. It was primarily applied, however, for unendurable stabbing pain in the head. Houding DU-19 cun1.5 Baihui DU-20 Fengfu DU-16 Qiangjian DU-18` Naohu DU-17 Classical combinations ¥	Headache that is difficult to endure: Qiangjian DU-18 and Fenglong ST-40 (One Hundred Symptoms). ¥	Stabbing pain of the head with inability to move: Qiangjian DU-18 and Touqiaoyin GB-11 (Supplementing Life). ¥	Stabbing pain of the head with inability to move: Qiangjian DU-18 and Zuqiaoyin GB-44 (Thousand Ducat Formulas). BAIHUI DU-20 Hundred Meetings Indications • Head wind, one-sided headache, pain of the vertex, heaviness of the head. Discussion The name Baihui DU-20 (Hundred Meetings) reflects the location of this point at the crown of the head which is the meeting of all the yang qi of the body, and its ability, according to the Classic of Supplementing Life with Acupuncture and Moxibustion to treat the 'one hundred diseases'. Like many acupuncture points, Baihui DU-20 has also been given a variety of alternative names in classical texts, reflecting different aspects of its nature, for example the name Sanyangwuhui (Three Yang Five Meetings) emphasises that Baihui DU-20 is the meeting point of the Governing vessel with the three yang channels of the Bladder, Gall Bladder and Sanjiao, as well as the Liver channel. Baihui DU-20 is located at the apex of the head, the highest and hence most yang point of the body. It therefore has a profound effect on regulating yang, both to descend excess yang and to raise deficient yang. Interior wind is a yang pathogen characterised by vigorous upward movement and is most commonly generated when the Liver's spreading and rising movement exceeds its normal bounds. Baihui DU-20, the meeting of the Governing and Liver channels, is able to descend such manifestations of interior wind and uprising of yang as headache, head wind, pain of the vertex and dizziness. A number of different classics state that Baihui DU-20 should be bled in such excess patterns. The pronounced ability of this point to descend excess from the head should not obscure its importance in nourishing the brain. According to the Spiritual Pivot4 Baihui DU-20 is a point of the sea of marrow "Its point above is the top of the head; below it is Fengfu". Baihui DU-20 may therefore equally be used in cases of headache due to deficiency of yin, blood and jing, any of which may fail to nourish the brain. According to the Spiritual Pivot5 Baihui DU-20 is listed as one of a group of twenty-five points for treating headache caused by inversion qi (disordered and contrary flow of qi), namely Qiangjian DU-18, Houding DU-19, Baihui DU-20, Qianding DU-21, Xinhui DU-22, Wuchu BL-5, Chengguang BL-6, Tongtian BL-7, Luoque BL-8, Yuzhen BL-9, Toulinqi GB-15, Muchuang GB-16, Zhengying GB-17, Chengling GB-18 and Naokong GB-19. Classical combinations ¥	Head wind: Baihui DU-20, Xiaxi GB-43, Shangxing DU-23, Qianding DU-21, Yanggu SI-5, Hegu L.I.-4, Guanchong SJ-1 and Kunlun BL-60 (Great Compendium). ¥ Pain of the head and eyes: Baihui DU-20, Tongli HE-5 and Houding DU-19 (Supplementing Life). • Pain of the head and nape: Baihui DU-20, Houding DU-19 and Hegu L.I.-4 (Great Compendium). ADJACENT AND DISTAL POINTS RENYING ST-9 Man's Welcome Indications • Headache, dizziness, red face. Discussion Renying ST-9 is also known by its alternative name Tianwuhui (Heaven's Five Meetings). Like Tianzhu BL-10 (see above) it is one of ten points which have come to be known as Window of Heaven points. The Spiritual Pivot6 states "headache due to rebellion of yang, fullness of the chest with difficulty in breathing, choose Renying ST-9". Located in the pivotal neck region, Renying ST-9 dramatically illustrates the characteristic ability of this group of points to re-establish harmony in the flow of qi between the body and the head. The rebellion of qi, which arises when the qi in the lower regions is disordered and chaotic, may manifest in various ways, but in the head it characteristically gives rise to headache, dizziness and redness of the face. According to Zhou Zhi-cong's commentary on the above passage from the Spiritual Pivot, the condition known as inversion qi (disordered, chaotic and rebellious qi) underlies the clinical manifestations of all the points of the window of heaven. One of the manifestations of inversion qi is sudden acute pain, and this echoes the important modern use of Renying ST-9 for acute lumbar sprain, as well as sprain and severe pain in any region of the body, including the head. The ability of Renying ST-9 to reorder rebellion and upsurge of qi also explains its strong action in reducing hypertension. DAZHU BL-11 Great Shuttle Indications • Rigidity of the nape of the neck, headache, head wind, bursting headache, inversion qi with heavy head, dizziness. Discussion The Ming dynasty classic Investigation into Points Along the Channels says that Dazhu BL-11 is indicated "for injury by wind which does not disperse, with bursting headache, soreness and pain of the back and scapula, interstices that are not closed, susceptibility to catching wind-cold". Taiyang channel is the most exterior of the six channels, and therefore most commonly the first to be injured by exterior pathogenic wind. It is for this reason that exterior wind-cold or wind-heat patterns often give rise to headache and pain of the neck which may extend down the upper back (taiyang channel). Classical combinations • Headache and visual dizziness: Dazhu BL-11, Sibai ST-2 and Yongquan KID-1 (Supplementing Life). LIEQUE LU-7 Broken Sequence Indications • Headache, stiffness of the neck and nape, one-sided headache. Discussion Lieque LU-7 was included by Ma Dan-yang, the great physician of the Jin dynasty, among the 'eleven heavenly star points'7 his grouping of the most vital acupuncture points, and was indicated by him (among other symptoms) for one-sided headache and phlegm in the upper body. The Glorious Anthology of Acupuncture and Moxibustion by the Ming dynasty author Gao Wu includes Lieque LU-7 among the 'four command points' (for disorders of the head and nape). In the Ode Of The Obstructed River, the use of Lieque LU-7 is referred to as one of 'the eight therapeutic methods'. In this description of the application of the eight confluent points of the extraordinary vessels to affect specific symptoms and areas of the body, Lieque LU-7 is indicated for disorders of the head region and rebellion and blockage of phlegm. From the earliest times, Lieque LU-7 has been an important point in the treatment of headaches, for example, the Ode of Spiritual Brightness states "in treating headache, whether one-sided or not, reduce Lieque LU-7". The clear emphasis on the ability of Lieque LU-7 to treat the head and neck region is surprising since the Lung channel does not ascend higher than the throat. The effect of Lieque LU-7 on the head region as a whole can, however, be explained by the following factors: i. its action on expelling and pacifying wind whose nature is to attack the upper portion of the body, ii. the close connection between Lieque LU-7, the luoconnecting point of the Lung channel, and its interiorly-exteriorly paired Large Intestine channel which does ascend to the head, and iii. long empirical observation. Lieque LU-7 is therefore indicated when exterior pathogenic wind, in combination with heat, cold or dryness, attacks the superficial portion of the body and gives rise to the classic signs of an exterior pattern such as headache, chills and fever and aches and pains in the neck, shoulders and back. Lieque LU-7 is not only the luo-connecting point of the Lung channel, communicating with the yang Large Intestine channel, but is also the point where a branch of the Lung primary channel diverges to link with Shangyang L.I.-1 on the index finger. Due to this close connection with the Lung channel's yang (exterior) paired channel, Lieque LU-7 is the most exterior-acting of the Lung channel points and is the principal point on the channel to release the exterior. Lieque LU-7 is equally applicable when interior wind rushes upwards to the head and is therefore not only indicated for stiff neck and headache but for lockjaw, hemiplegia, deviation of the mouth and eye, and epilepsy. Classical combinations • One-sided or generalised headache: Lieque LU-7 and Taixi LU-9 (Ode of Xi-hong). HEGU L.I.-4 Joining Valley Indications • Exterior wind-cold pattern, chills and fever, headache, one-sided headache, headache of the whole head, hypertension. Discussion Hegu L.I.-4 was included by Ma Dan-yang, the great physician of the Jin dynasty, among the 'eleven heavenly star points'8, his grouping of the most vital acupuncture points, and was indicated by him for headache, swelling of the face, malaria with chills and fever, tooth decay, nosebleed and lockjaw with inability to speak. The Ming dynasty author Gao Wu in his work Glorious Anthology of Acupuncture and Moxibustion, also recognised the supreme importance of this point and included it among his 'four command points' (for the face and mouth). Hegu L.I.-4 is a primary point to expel wind-cold or wind-heat and to release the exterior. The Great Compendium of Acupuncture and Moxibustion recommends this point for "injury by cold ... a floating pulse on the exterior, fever with aversion to cold, headache, rigid spine, and absence of sweating". This is the classic presentation of wind-cold binding the exterior portion of the body. Hegu L.I.-4 is also the single most important point to treat disorders of the face and sense organs. This has been emphasised in numerous classics, for example the Classic of the Jade Dragon states "Hegu L.I.-4 treats all diseases of the head, face, ears, eyes, nose, cheeks, mouth and teeth". Hegu L.I.-4 may therefore be needled in headache in any region of the head due to attack by exterior pathogens, and frontal (yangming channel) headaches due to any aetiology. In clinical practice, however, it is used even more widely, for example the Classic of the Jade Dragon recommended Hegu L.I.-4 for one-sided or generalised headache, whilst the Ode of the Jade Dragon more specifically recommended Hegu L.I.-4 for head wind without phlegm, and Fengchi GB-20 for head wind with phlegm. The affinity of Hegu L.I.-4 for both the forehead and the side of the head reflects the fact that the internal pathway of the Large Intestine channel meets with the Gall Bladder channel at Yangbai GB-14, Xuanlu GB-5 and Xuanli GB-6. Classical combinations ¥	Headache: Hegu L.I.-4, Tianchi P-1, Tongziliao GB-1, Yuji LU-10, Sibai ST-2, Tianchong GB-9, Sanjiaoshu BL-22 and Fengchi GB-20 (Systematic Classic). ¥	One-sided or generalised headache: Hegu L.I.-4, Sizhukong SJ-23 and Fengchi GB-20 (Great Compendium). ¥	Head wind and dizziness: Hegu L.I.-4, Fenglong ST-40, Jiexi ST-41 and Fengchi GB-20 (Great Compendium). ¥	Head wind with splitting sensation, pain between the eyebrow and the eye: Hegu L.I.-4, Yangbai GB-14 and Jiexi ST-41 (Classic of the Jade Dragon). ¥	Pain of the head and nape: Hegu L.I.-4, Houding DU-19 and Baihui DU-20 (Great Compendium). WAIGUAN SJ-5 Outer Pass Indications • Headache, thunder head wind11, head wind, Kidney deficiency headache, one-sided headache, pain of the vertex, frontal headache, pain of the nape, hypertension. Discussion The Song of Points for Miscellaneous Diseases says "use Waiguan SJ-5 for all wind, cold, summer-heat and damp pathogens, headaches and fever". In the Ode of the Obstructed River the use of Waiguan SJ-5 is referred to as one of the 'eight therapeutic methods'. In this description of the application of the eight confluent points of the extraordinary vessels to affect specific symptoms and areas of the body, Waiguan SJ-5 is indicated for injury by cold to the exterior accompanied by headache. These classical references emphasise two of the principle applications of Waiguan SJ-5 namely: i. dispelling exterior pathogenic factors, and ii. treating headache. Waiguan SJ-5 is classically indicated for many different kinds of headache, including thunder head wind, head wind and headache due to Kidney deficiency, as well as temporal, vertex, frontal and occipital headache. This widespread action of Waiguan SJ-5 on such varied kinds of headache may be explained by a number of different factors: i. Waiguan SJ-5 is an important point to expel pathogenic factors and may be used in the treatment of headache due to wind-cold, wind-heat, or wind-damp; ii. the Yang Linking (Yangwei) vessel (of which Waiguan SJ-5 is the confluent point) links all the yang channels (the occipital region is governed by the Governing vessel and taiyang channel, the temporal region by the Yang Linking vessel and shaoyang channel, and the frontal region by yangming channel), and specifically connects with such important points for headaches as Benshen GB-13 through to Fengchi GB-20, Touwei ST-8 and Fengfu DU-16; iii. the Sanjiao and Gall Bladder shaoyang channels are linked according to the six channel theory, and the Sanjiao channel intersects the Gall Bladder channel at points Tongziliao GB-1, Shangguan GB-3, Hanyan GB-4, Xuanli GB-6 and Jianjing GB-21, whilst the Gall Bladder and Liver channels are interiorly-exteriorly coupled. Waiguan SJ-5 is therefore an important point in the treatment of headaches due to Liver disharmony, especially when this gives rise to one-sided temporal headache (shaoyang region). For this purpose Waiguan SJ-5 is often combined with Gall Bladder channel points such as Zulinqi GB-41 (predominantly for headaches due to Liver qi stagnation, including premenstrual headaches), and Yangfu GB-38 and Xiaxi GB-43. Classical combinations • Pain of the head and eyes: Waiguan SJ-5 and Houxi SI-3 (Divine Moxibustion). TONGLI HE-5 Penetrating the Interior Indications • Headache, head wind, dizziness, eye pain. Discussion From Tongli HE-5, the Heart luo-connecting channel both spreads to the Heart's interiorly-exteriorly coupled Small Intestine channel and ascends to the eye. Tongli HE-5 is indicated for (and included in a number of classical combinations for) head wind, headache and dizziness, all of which may be accompanied by redness or pain of the eyes. This symptomatology reflects disharmony of both coupled channels. Classical combinations ¥	Head wind, redness of the face and eyes: Tongli HE-5 and Jiexi ST-41 (Great Compendium). ¥	Pain of the head and eyes: Tongli HE-5, Baihui DU-20 and Houding DU-19 (Supplementing Life). ¥	Headache and dizziness: Tongli HE-5, Feiyang BL-58, Kunlun BL-60, Ququan LIV-8, Qiangu SI-2 and Shaoze SI-1 (Thousand Ducat Formulas). HOUXI SI-3 Back Stream Indications • Stiffness and pain of the neck, difficulty in turning the neck, one-sided headache, bilateral headache. Discussion Houxi SI-3 is both the shu-stream point of the Small Intestine channel and the confluent point of the Governing vessel. It is an important point to treat pain, stiffness and contraction along the course of these channels. Taiyang (Small Intestine and Bladder) channel traverses the neck, occiput, scapula and paravertebral regions, whilst the Governing vessel ascends along the spinal column from the coccyx to the head. According to the Classic of Difficulties9 the shu-stream points are indicated for "heaviness of the body and pain of the joints". Houxi SI-3 is an essential distal point in the treatment of occipital headache (although also used for one-sided and bilateral headache) and stiffness and pain of the neck, whether acute or chronic and whether due to exterior pathogenic factors or interior disharmony. Classical combinations ¥	Headache: Houxi SI-3, Tianzhu BL-10, Taodao DU-13, Dazhu BL-11 and Kongzui LU-6 (Thousand Ducat Formulas). ¥	Pain of the head and eyes: Houxi SI-3 and Waiguan SJ-5 (Divine Moxibustion). FENGLONG ST-40 Abundant Bulge Indications • Dizziness, headache, wind-phlegm headache. Discussion Fenglong ST-40, the luo-connecting point of the Stomach channel, is the single most important acupuncture point to transform phlegm in the body, whatever its origin. The Stomach luo-connecting channel ascends the leg and trunk to the nape of the neck and head where it converges with the qi of all the other yang channels. If phlegm-damp obstructs the upper jiao and the head, it may impair the ascent of clear yang to the head and sensory orifices, giving rise to dizziness and headache characterised by a heavy and clouded sensation. If interior wind rushes upwards, carrying phlegm with it, this is known as wind-phlegm and may give rise to such symptoms as severe headache or dizziness. Classical combinations ¥	Headache that is difficult to endure: Fenglong ST-40 and Qiangjian DU-18 (One Hundred Symptoms). ¥	Head wind and dizziness: Fenglong ST-40, Hegu L.I.-4, Jiexi ST-41 and Fengchi GB-20 (Great Compendium). JIEXI ST-41 Stream Divide Indications • Swelling of the face and head, frontal headache, pain of the eyebrow, head wind, redness of the face and eyes, dizziness. Discussion It is an important principal of the five shu points that the more distal they are (i.e. close to the fingers or toes), the stronger their effect on treating their corresponding channel as a whole, and the opposite end of the channel in particular, whilst the more proximal they are (close to the knee and elbow), the more pronounced their action on the internal fu and the trunk and body portion of the channel. The Stomach channel traverses the face and forehead, and heat in the channel may be implicated in pain and aching in these regions. It is interesting however that whilst Jiexi ST-41 is indicated for frontal headache, head wind, eyebrow pain etc. and appears in various classical combinations for head wind, the more distal Neiting ST-44 has no such indications. Classical combinations ¥	Head wind with a splitting sensation, pain between the eyebrow and the eye: Jiexi ST-41, Hegu L.I.-4 and Yangbai GB-14 (Classic of the Jade Dragon). ¥	Head wind, redness of the face and eyes: Jiexi ST-41 and Tongli HE-5 (Great Compendium). ¥	Head wind and dizziness: Jiexi ST-41, Hegu L.I.-4, Fenglong ST-40 and Fengchi GB-20 (Great Compendium). FEIYANG BL-58 Soaring Upwards Indications • Heat in the head, dizziness, headache and dizziness, pain of the neck and occiput, pain of the head and back. Discussion Feiyang BL-58 is the luo-connecting point of the Bladder channel. An examination of its modern application compared with its traditional indications reveals a significant disparity. Clinically it is most commonly used nowadays for disorders of the lower limb and lumbar pain, particularly for sciatic pain which is located either along the course of both the Bladder and Gall Bladder channels, or between these two channels. This reflects the location of Feiyang BL-58 at the place where the Bladder channel, which runs down the back of the leg from Chengfu BL-36, passes laterally towards the Gall Bladder channel on the lower leg. Its traditional indications, however, show a much wider application, characterised by excess in the upper region, sometimes with accompanying deficiency below, a pattern which may explain the name of this point, 'Soaring Upwards' as well as its alternative name 'Flying Yang'. From Feiyang BL-58 the luo-connecting channel meets with the Kidney channel, strengthening the relationship between these coupled channels. According to the Guide to the Classics of Acupuncture "the luo-connecting points are located between two channels ... if they are punctured, symptoms of the interiorly-exteriorly related channels can be treated". When the Kidneys are depleted there may be deficiency below manifesting as lumbar pain, coldness of the lower part of the body, inability to stand and weakness of the legs. At the same time there may be excessive yang rising up the coupled Bladder channel to the head and manifesting as dizziness, headache, pain of the neck and occiput and heat in the head. Feiyang BL-58 is ideally suited to restore harmony be tween above and below, especially when combined with points to tonify and nourish the Kidneys such as Taixi KID-3. Classical combinations • Headache and dizziness: Feiyang BL-58, Kunlun BL-60, Ququan LIV-8, Qiangu SI-2, Shaoze SI-1 and Tongli HE-5 (Thousand Ducat Formulas). KUNLUN BL-60 Kunlun Mountains Indications • Headache, heat in the head, redness pain and swelling of the eyes, bursting eye pain, stiff neck. Discussion Kunlun BL-60 is the fire point of the taiyang Bladder channel, and an important point to clear and descend excess wind, fire and yang from the upper part of the body. To best understand the yang subduing actions of this point, three factors should be taken into account: i. as a fire point, Kunlun BL-60 is able to clear heat, fire and excess yang; ii. taiyang ('supreme yang') channel is the most yang of the six channels; iii. Kunlun BL-60 is located on the foot, towards the inferior end of the Bladder channel which traverses the entire posterior (yang) portion of the body. The principle "for diseases of the head select [points from] the feet"10 applies well to this point. Kunlun BL-60 is able to subdue interior wind, clear heat and lead down excess yang from the head in cases of headache, heat in the head, redness, pain and swelling of the eyes, bursting eye pain and stiff neck, indeed as long ago as the third century CE the Systematic Classic of Acupuncture and Moxibustion stated that Kunlun BL-60 "drains wind from the head to the feet". Although Kunlun BL-60 is principally used clinically in the treatment of occipital headache, it is worth noting that the primary Bladder channel meets the Governing and Gall Bladder channels at Baihui DU-20 on the vertex, Shenting DU-24 and Toulinqi GB-15 towards the front of the head, and points Qubin GB-7 through to Wangu GB-12 on the side of the head. For this reason, Kunlun BL-60 may be considered for pain in any region of the head. Classical combinations ¥	Headache and dizziness: Kunlun BL-60, Ququan LIV-8, Feiyang BL-58, Qiangu SI-2, Shaoze SI-1 and Tongli HE-5 (Thousand Ducat Formulas). ¥	Wind dizziness and headache: Kunlun BL-60, Tianyou SJ-16, Fengmen BL-12, Guanchong SJ-1 and Guanyuan REN-4 (Thousand Ducat Formulas). ¥	Head wind: Kunlun BL-60, Xiaxi GB-43, Shangxing DU-23, Qianding DU-21, Baihui DU-20, Yanggu SI-5, Hegu L.I.-4 and Guanchong SJ-1 (Great Compendium). SHENMAI BL-62 Extending Vessel Indications • Chills and fever, aversion to wind with spontaneous sweating and headache, wind dizziness, head wind, headache, lateral and midline headache, thunder head wind11. Discussion In the Ode of the Obstructed River the use of Shenmai BL-62 is referred to as one of 'the eight therapeutic methods' In this description of the application of the eight confluent points of the extraordinary vessels to affect specific symptoms and areas of the body, Shenmai BL-62 is indicated "to expel cold and heat and [to treat] one-sided and generalised head wind ... ". Shenmai BL-62 is both a point of the taiyang Bladder channel and the confluent point of the Yang Motility (Yangqiao) vessel, reflected in its alternative name 'Yang Motility'. The taiyang (supreme yang) Bladder channel traverses the head and the entire length of the back - the most yang area of the body. It connects with the Governing vessel at points Taodao DU-13, Dazhui DU-14, Naohu DU-17 and Baihui DU-20, where it enters the brain. The Yang Motility vessel traverses the lateral side of the body and head, connects with the Gall Bladder channel at Fengchi GB-20 and enters the brain at Fengfu DU-16. This network of channel pathways helps to explain the principal actions and indications of this point. Wind, a yang pathogenic factor characterised by sudden onset, rapid changes, constant or abnormal movement and a tendency to attack the head and upper portion of the body, may be of exterior or interior origin. Taiyang channel is the most exterior of the six channels and is generally the first channel to be attacked by exterior pathogenic wind. Shenmai BL-62 is particularly indicated for the commonly-seen pattern of attack of exterior wind with chills and fever, aversion to wind, stiff neck and headache. Interior wind, by contrast, arises from interior disharmony, principally of the Liver. It rushes upwards, disturbing the brain and leading to such symptoms as headache, wind dizziness, head wind and thunder head wind12. The ability of Shenmai BL-62 to pacify interior wind and treat such manifestations reflects the extreme yang nature of this point and its channel connections to the head and brain, rather than any action on the Liver zang. In other words, Shenmai BL-62 treats the manifestation of wind rather than the root. As far as the location of the headache is concerned, Shenmai BL-62 is especially indicated for head wind and headache affecting both the midline (Bladder channel) and lateral (Yang Motility vessel) portions of the head. Classical combinations • Head wind and headache: Shenmai BL-62 and Jinmen BL-63 (Ode to Elucidate Mysteries). • Head wind, visual dizziness and stiffness of the nape of the neck: Shenmai BL-62, Shousanli L.I.-10, and Jinmen BL-63 (Miscellaneous Diseases). ZHIYIN BL-67 Reaching Yin Indications • Vertex headache, occipital headache, heaviness of the head, neck pain. Discussion The Spiritual Pivot13 states "for diseases of the head select [points from] the feet", whilst Songs to Keep Up Your Sleeve says that Zhiyin BL-67 is indicated for "disorders of the face and head". Zhiyin BL-67 is particularly applicable for vertex and occipital headache, whether due to exterior pathogenic wind or to internal disharmony, as well as for disorders of the neck, eyes, nose and ears. As the terminal point of the Bladder channel, Zhiyin BL-67 is especially dynamic in its action, and in clinical practice would be considered when these disorders are acute rather than chronic in nature. YONGQUAN KID-1 Gushing Spring Indications • Vertex headache, dizziness, hypertension. Discussion Yongquan KID-1, the only channel point on the sole of the foot and therefore the lowest point on the body, is the wood point of the Kidney water channel. According to the Classic of Difficulties14 "in cases of deficiency reinforce the mother, in cases of excess reduce the child". As the 'child' point of the Kidney channel, Yongquan KID-1 therefore has a powerful effect on reducing excess above by "returning the unrooted back to its source", reflected both in the statement in the Ode to Elucidate Mysteries that "Yongquan KID-1 echoes the earth"15, and in alternative names for this point such as 'Earth Surge' (Dichong) and 'Earth Thoroughfare' (Dichong). When the Kidneys are deficient below, pathologically ascending qi, yang, deficiency heat or wind may rush upwards to harass the head. The powerful effect of Yongquan KID-1 on descending and clearing such excess is recorded in a story about the famous 2nd century physician, Hua Tuo who treated General Wei Tai-cu (the posthumously consecrated emperor of the Wei) for 'head wind, confused mind and visual dizziness'. According to the principle of selecting points below to treat disorders above, Hua Tuo needled Yongquan KID-1 and "the general was immediately cured"16. When Kidney water fails to nourish Liver wood, the fierce and unrestrained yang of the Liver rushes up to the head giving rise to such symptoms as headache at the vertex, dizziness and hypertension. These symptoms will be exacerbated if excess Liver yang generates wind. Yongquan KID-1 is able both to regulate the Kidneys, the root of these symptoms, and to treat the manifestations by strongly descending the pathological excess. Classical combinations • Headache and visual dizziness: Yongquan KID-1, Sibai ST-2 and Dazhu BL-11 (Supplementing Life). YANGFU GB-38 Yang Assistance Indications • One-sided headache, pain of the outer canthus, throat painful obstruction. Discussion Yangfu GB-38 is the fire and jing-river point of the Gall Bladder channel. According to the Great Compendium of Acupuncture and Moxibustion "when the Gall Bladder is excess reduce Yangfu GB-38". In the head region, Yangfu GB-38 is an important point for one-sided headache, principally due to Liver qi stagnation or uprising of Liver fire or Liver yang which transmit along the Gall Bladder channel. ZULINQI GB-41 Foot Governor of Tears Indications • Headache, head wind, dizziness, pain of the occiput, pain of the vertex. Discussion Although Zulinqi GB-41 is much used in modern clinical practice for one-sided headache, particularly with Waiguan SJ-5 and especially for headaches associated with the menstrual cycle, it is interesting to note that all major classical references are to occipital pain, and pain of the vertex. XIAXI GB-43 Clamped Stream Indications • Headache, dizziness. Discussion According to the Classic of Difficulties17 ying-spring points are indicated for "heat in the body". The Gall Bladder channel traverses the sides of the head, enters the ear and connects with the eye. Xiaxi GB-43, the ying-spring point of the Gall Bladder channel, is indicated for Liver and Gall Bladder heat which ascends along the channel to the head and gives rise to such symptoms as headache and dizziness, as well as disorders of the ears and eyes. It is interesting to note, however, that although much used for one-sided headache in modern clinical practice, headache is not mentioned as an indication for this point in any of the major classical texts, although Xiaxi GB-43 does appear in point combinations for head wind. Classical combinations • Head wind: Xiaxi GB-43, Shangxing DU-23, Qianding DU-21, Baihui DU-20, Yanggu SI-5, Hegu L.I.-4, Guanchong SJ-1 and Kunlun BL-60 (Great Compendium). XINGJIAN LIV-2 Moving Between Indications • Headache, dizziness. Discussion The Liver, entrusted with the ministerial fire, is known as the 'indomitable zang' and corresponds to the energies of spring, growth and forcefulness. Although the Liver free-flowing function assists the ascent and descent of the qi of all the zangfu, its own qi direction is upwards, hence the saying "The Liver governs uprising". Since its yang activity is by nature exuberant, fierce and strong, the Liver easily becomes overheated and the normal ascending of Liver qi readily flares up into excess. The Great Compendium of Acupuncture and Moxibustion says "When the Liver is excess, reduce Xingjian LIV-2" whilst according to the Classic of Difficulties ying-spring points are indicated for "heat in the body". Xingjian LIV-2, the ying-spring and fire point of the Liver channel, is therefore the principal point on this channel, indeed in the whole body, to clear Liver fire and descend Liver yang. The Liver primary channel ascends along the neck and posterior aspect of the throat to the nasopharynx and the tissues surrounding the eye, and then ascends across the forehead to link with Baihui DU-20 at the vertex. Xingjian LIV-2, consequently, is much used clinically to treat headache and dizziness, as well as symptoms such as burning heat of the face, nosebleed, throat pain, red and painful eyes, lacrimation and other eye diseases due to Liver fire ascending to the head, although it is interesting to note that headache, dizziness and nosebleed are modern indications and do not appear in any of the major classical acupuncture texts, nor does Xingjian LIV-2 appear in any classical combinations for headache or head wind. TAICHONG LIV-3 Great Rushing Indications • Headache, dizziness, numbness of the head, hypertension. Discussion Taichong LIV-3 is the yuan-source and shu-stream point of the Liver channel. The Spiritual Pivot in Chapter 6 recommends the use of the shu-stream points in disorders of the zang, whilst in Chapter 1 it says "When the five zang are diseased, select [from] the twelve yuan-source [points]". Taichong LIV-3 is arguably the most important point of the Liver channel, with an extensive range of actions, and may be used with equal effect for both excess and deficiency patterns of the Liver zang and its channel. So important did the Ming dynasty physician Xu Feng consider Taichong LIV-3 to be, that he added it to Ma Danyang's 'eleven heavenly start points' when listing them in his work Complete Collection of Acupuncture and Moxibustion. Since this time, these points have become known as Ma Danyang's 'twelve heavenly star points'. Taichong LIV-3 is considered to be effective in the treatment of any pattern of disharmony of the Liver whether qi stagnation, uprising of yang or wind, deficiency of blood or yin or damp-heat, all of which (except the latter) may give rise to various kinds of headache. The Liver channel connects with the brain at Baihui DU-20, the topmost point of the body, and is the only yin channel to ascend directly to the upper part of the head. Taichong LIV-3, therefore, is used to treat many disorders of the head, especially headache and dizziness, due to both excess and deficiency patterns of the Liver. It is specifically indicated for vertex headaches, although it is worth noting that neither headache nor dizziness are found as indications for this point in any major classic, nor does Taichong LIV-3 appear in any classical combinations for headache or head wind. MINGMEN DU-4 Gate of Life Indications • Dizziness, splitting headache. Discussion According to the Classic of Difficulties18 "On the left is the Kidney, on the right is ming men" whilst according to Zhang Jing-yue "Ming men resides between the Kidneys". The exact location of ming men (Gate of Life) has been described differently at different times, but as its name makes clear, Mingmen DU-4, located between the Kidney back-shu points, is an important point to influence the ming men and the ministerial fire to which it is closely related. As well as influencing the ming men fire, Mingmen DU-4 is a point of the Governing vessel, which is known as the 'sea of the yang channels', and therefore has a strong regulatory effect on the yang qi and the exterior portion of the body. These two considerations help explain the fact that the indications given for Mingmen DU-4 in classical texts emphasise the treatment of heat disorders (rather than deficiency of ming men fire), whether interior or exterior, excess or deficient. Due to its ability to pacify wind in the Governing vessel and clear excess fire, Mingmen DU-4 is especially indicated for severe headache accompanying high fever. Classical combinations • Heat in the body like fire and splitting headache: Mingmen DU-4 and Zhongchong P-9 (Supplementing Life). Abbreviations The bracketed abbreviations have been used for the following classical texts in the point combinations. 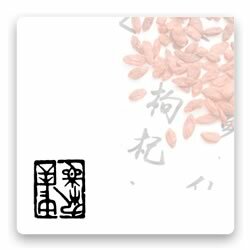 ¥	Classic of Supplementing Life with Acupuncture and Moxibustion (Supplementing Life). ¥	Methods of Acupuncture and Moxibustion from the Golden Mirror of Medicine (Golden Mirror). ¥	Ode of One Hundred Symptoms (One Hundred Symptoms). ¥	Principles of Divine Moxibustion (Divine Moxibustion). ¥	Song of Points for Miscellaneous Diseases (Miscellaneous Diseases). ¥	The Great Compendium of Acupuncture and Moxibustion (Great Compendium). • The Systematic Classic of Acupuncture and Moxibustion (Systematic Classic). Notes 1 See for example The Treatment of Headache and Migraine by Acupuncture by Richard Blackwell, issue 35, January 1991. 2 See JCM No. 43, September 1993 for a fuller discussion. 3 Chapter 60. 4 Chapter 33. 5 Chapter 24. 6 Chapter 21. 7 The text in which the eleven points first appeared was called Song of the Eleven Heavenly Star Points. Xu Feng, included this text in his work Complete Collection of Acupuncture and Moxibustion and added a twelfth point, Taichong LIV-3. 8 Ibid. 9 68th Difficulty. 10 Spiritual Pivot Chapter 9. 11 A type of headache that is primarily due to exterior attack of wind, or internal phlegm-fire that generates wind. The headache tends to be severe with a thundering sound in the head. It may be accompanied by swelling and heat of the face and head. 12 Ibid. 13 Chapter 9. 14 69th Difficulty. 15 The Ode to Elucidate Mysteries said "Heaven, earth and man are the three powers. Baihui DU-20 ... echoes Heaven, Xuanji REN21 ... echoes man and Yongquan KID-1 ... echoes the earth". 16 This story also appears in the Great Compendium of Acupuncture and Moxibustion in which the point selected is Naokong GB-19 rather than Yongquan KID-1. 17 68th Difficulty. 18 38th Difficulty. The text and illustrations in this article are derived from A Manual of Acupuncture by Peter Deadman and Mazin Al-Khafaji with Kevin Baker, published by Journal of Chinese Medicine Publications in February 1998 (see reviews).